Proposed trip to either Lava Plains (one of the cattle stations in the area) OR, perhaps a return to Glen Eagles Station south of Mt. Garnet. 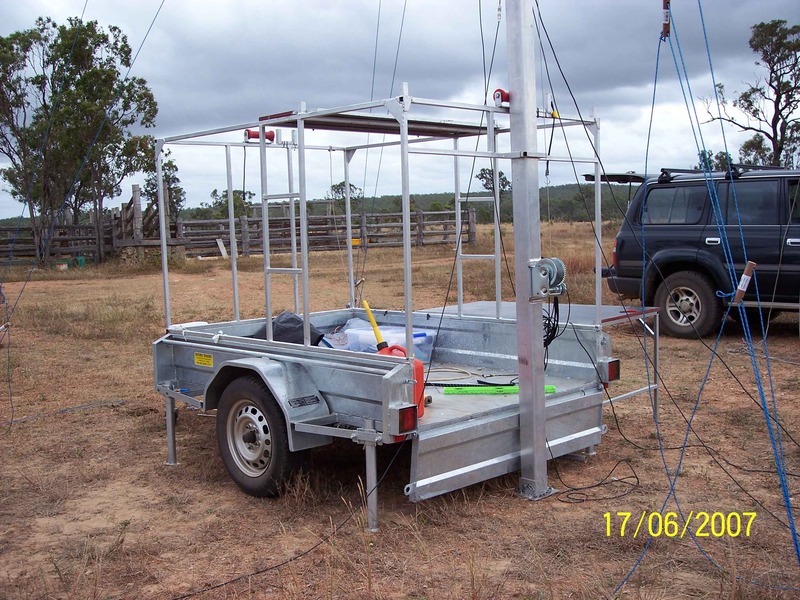 The new 10M portable tower will be in operation with a 4 Band, 2 element Quad in use. We departed Atherton around lunch time and headed out through Mareeba towards Dimbula. 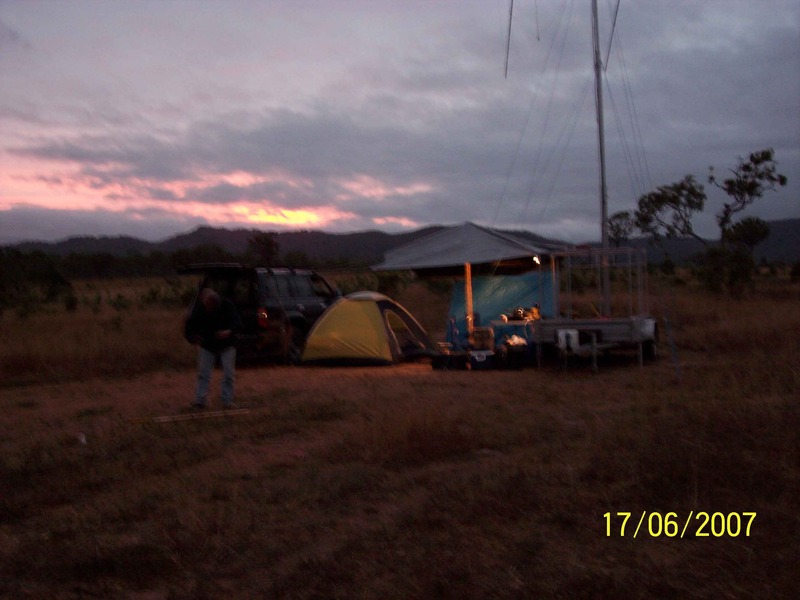 We found a location just before Dimbula on a property and had the the owners permission to set up a camp site on the property. 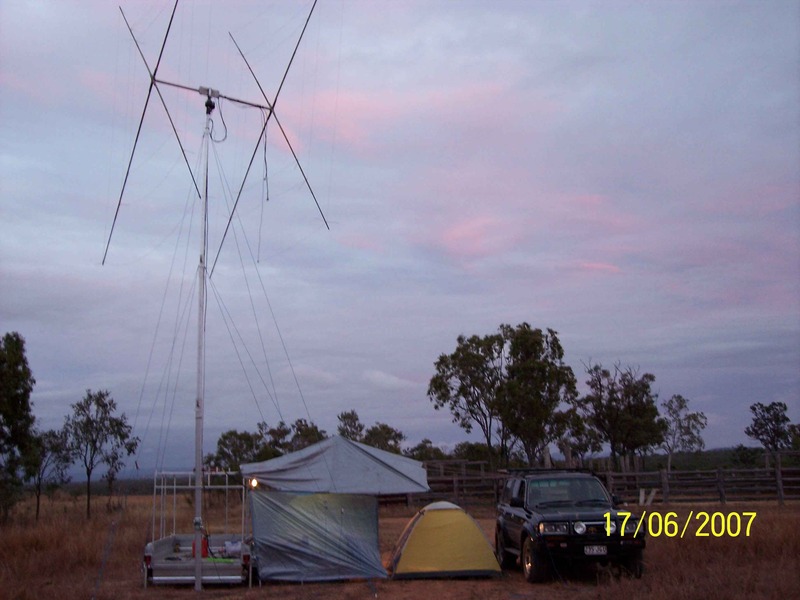 We quickly got the portable tower in position and started on the assembley of the 2 element quad. The design of the trailer and tower made the assembley of the quad a snap. 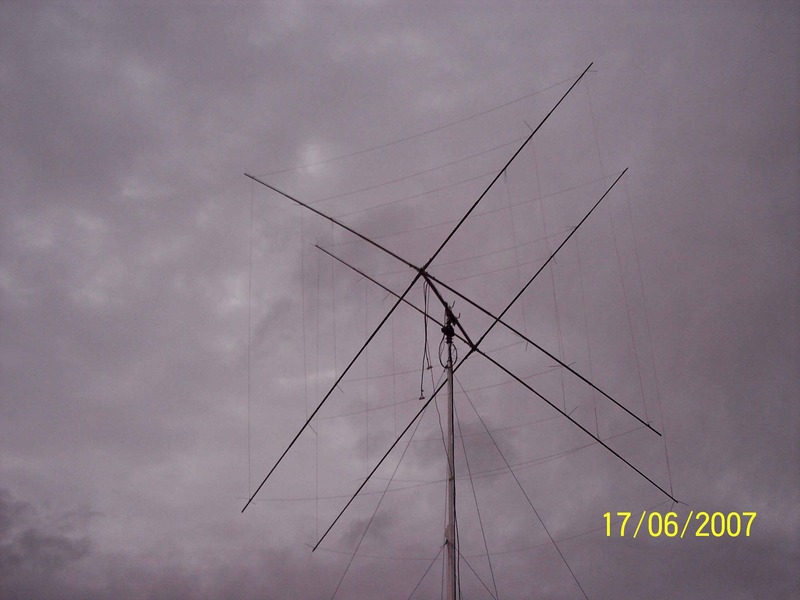 No ladders were required and Jeff (VK4BOF) was able to assemble the Quad spreaders with no difficulty. 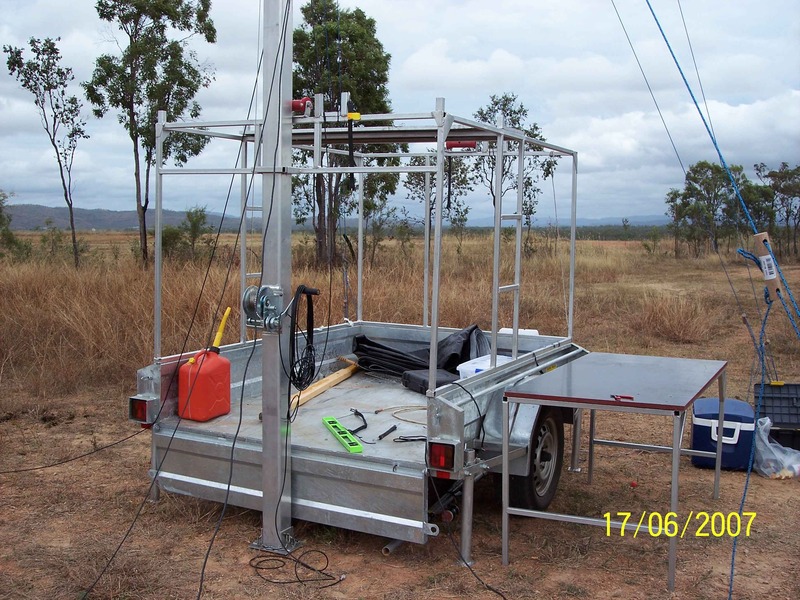 The wires were attached to the spreaders with Zip Ties and the analyser showed 10,15 and 20 metres were resonant in the centre of the phone band whish is where we hoped it would be. Once we were on air we worked stations in Europe and one in particular was a first for both of us as he was on Grand Canary Island and we chatted for about 30 minutes. 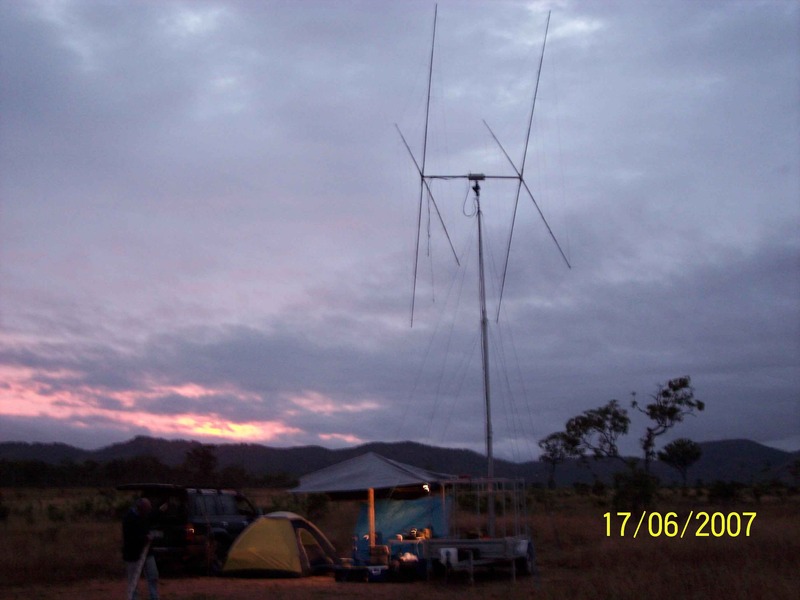 I have included some photos of the camp site, tower and antenna.